Picking the Dessert…with guidance | I Am Not A Restaurant! Back to the potluck pasta of the other night. We needed a dessert. I let my guy pick the dessert…with guidance. Spinning through recipes over Sunday toast I offered up a choice. German Apple cake, apple pandowdy or apple cranberry oat crumble cake. I personally was sold by the high proportion of crust to filling. He probably just heard most of the same ingredients he eats in his daily granola. Either way, I will get to the first two recipes without question. That's because “Rustic Fruit Desserts” has never let me down. And it never will. It's like a baking bible for seasonal fruit. But click here for the third recipe, the apple cranberry oat cobbler. Set this one aside for Thanksgiving! The topping calls for melted butter, making it super simple to assemble and/or make ahead to keep in fridge or freezer. Put it in the oven when you take the turkey out. It will save you the trouble of making pie. 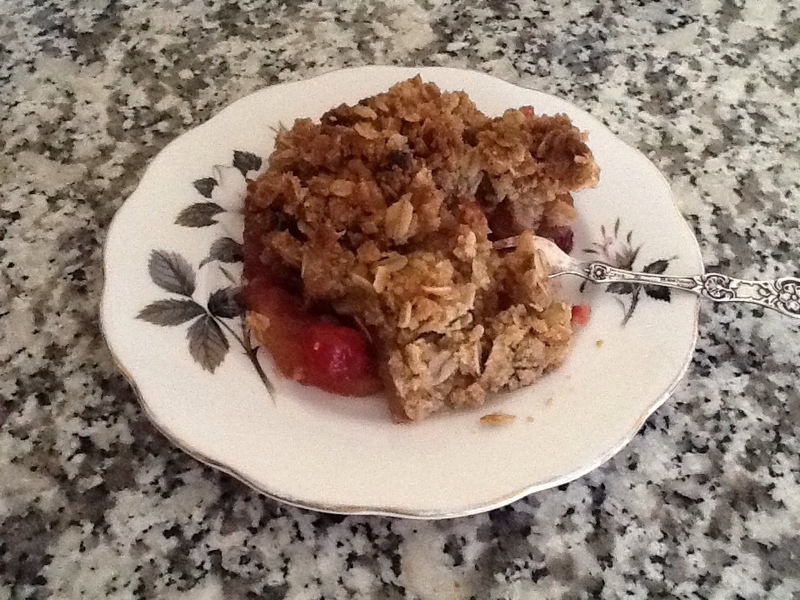 Nov19November 19, 2013 • By Betsy Karetnick • This entry was posted in Comfort Food, Dessert, Dish of the Day, Recipes and tagged a la mode, apples, cobbler, cranberry, oats. Bookmark the permalink.